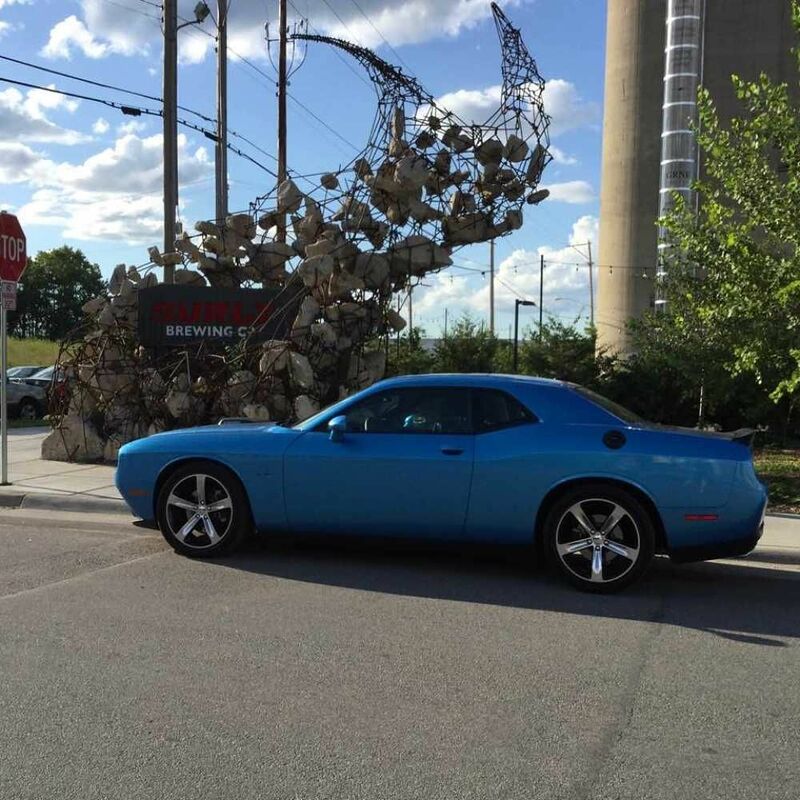 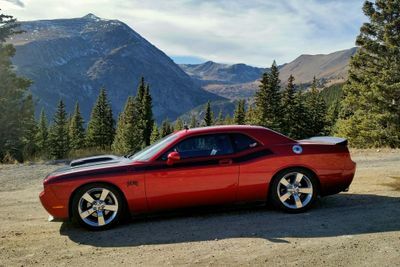 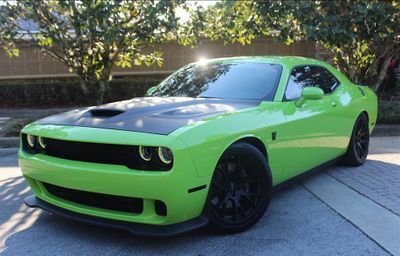 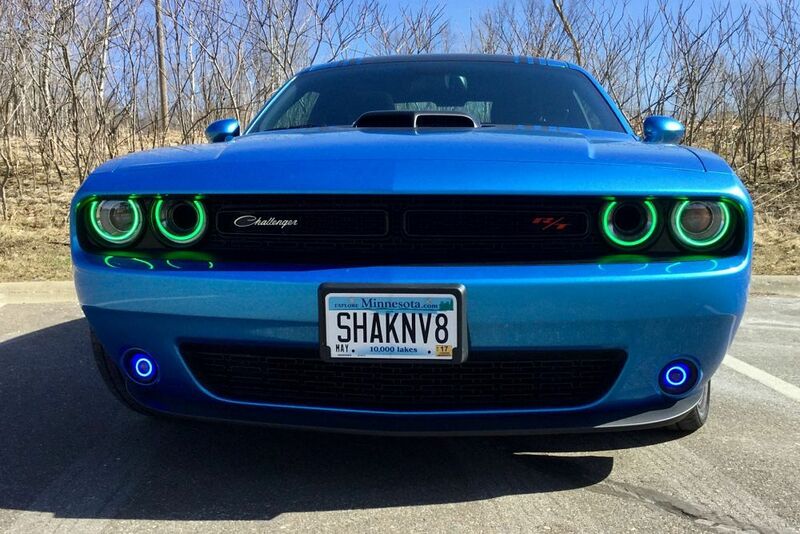 We bought a 2015 Dodge Challenger Shaker in June 2015. 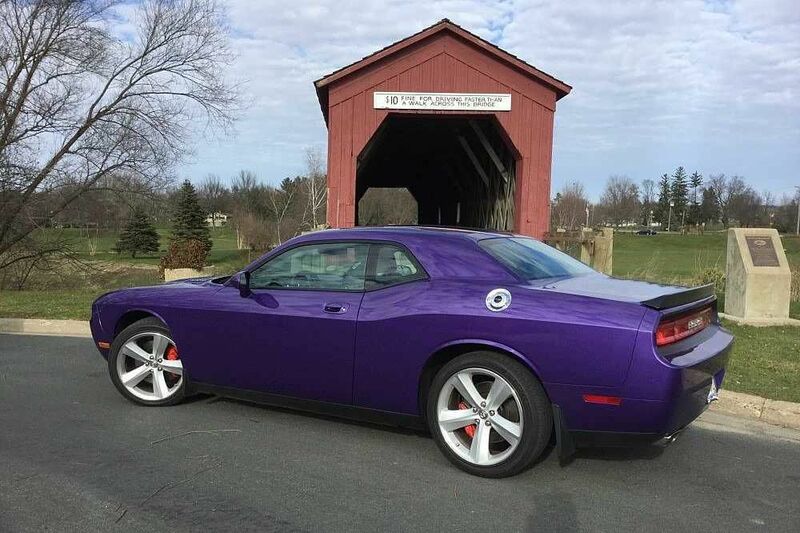 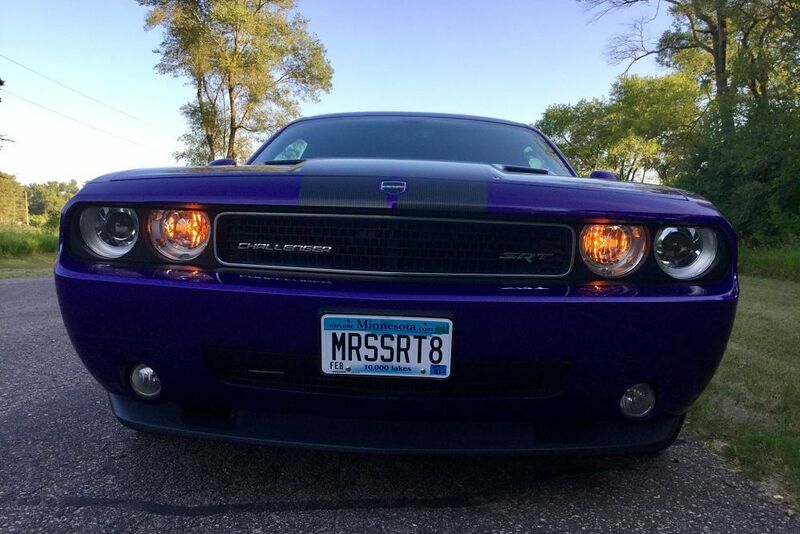 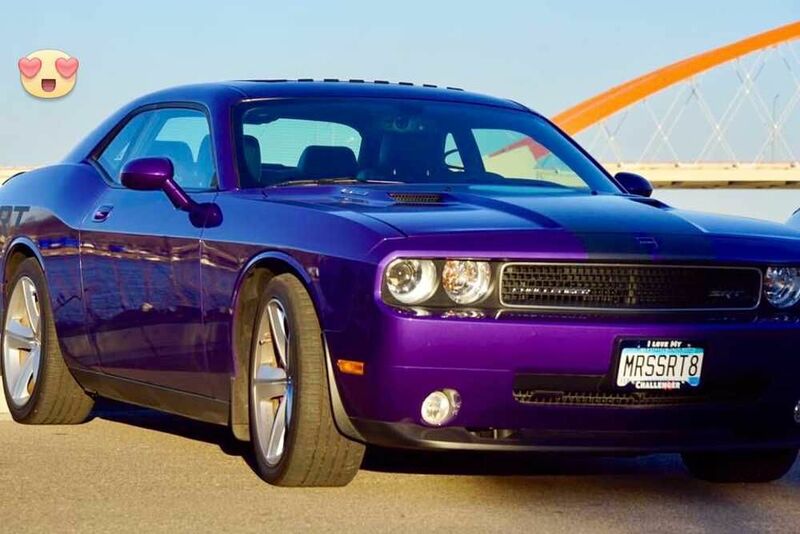 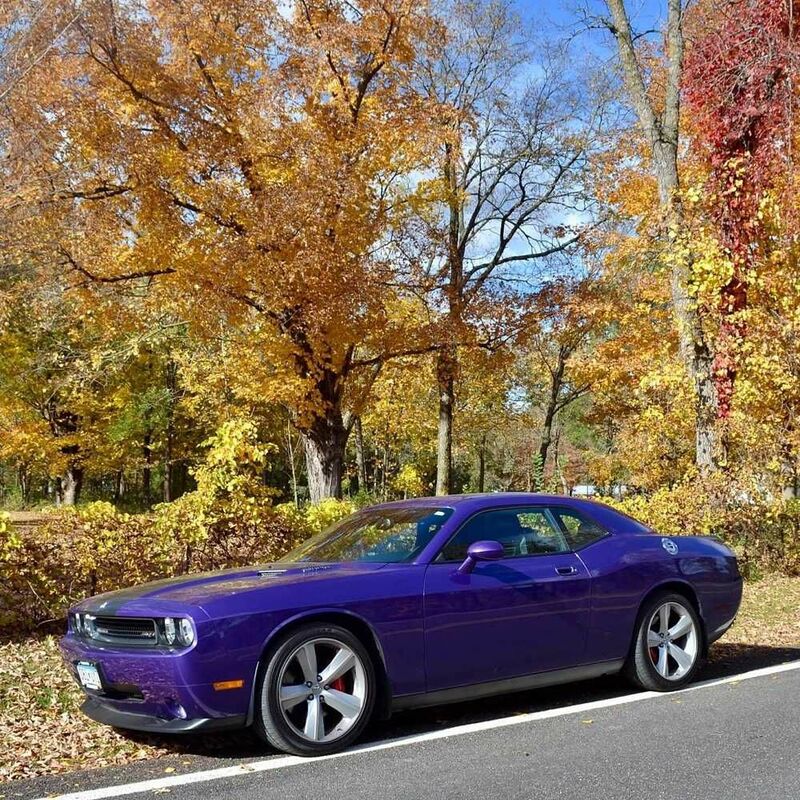 In July 2016 my husband took his truck in for hail damage repair to the Dodge dealership where we purchase our cars and he saw this purple Challenger SRT that caught his eye. 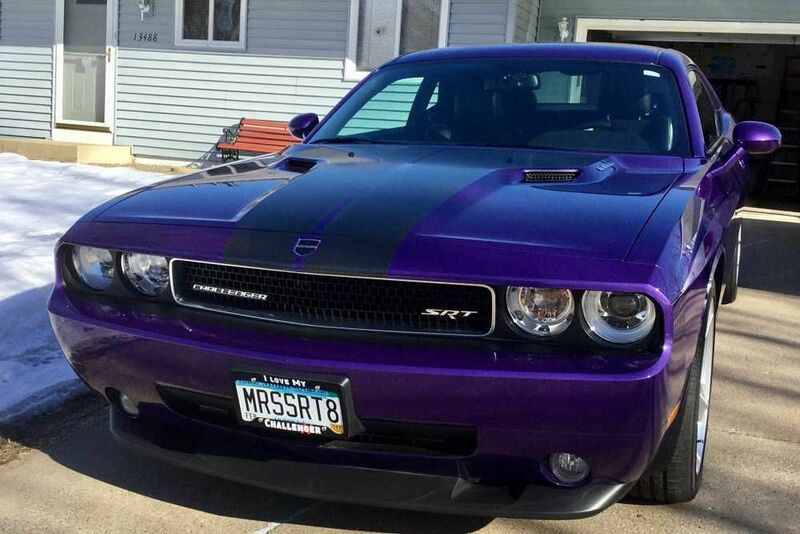 He came home and made the mistake of showing me the pictures and the price of this car. 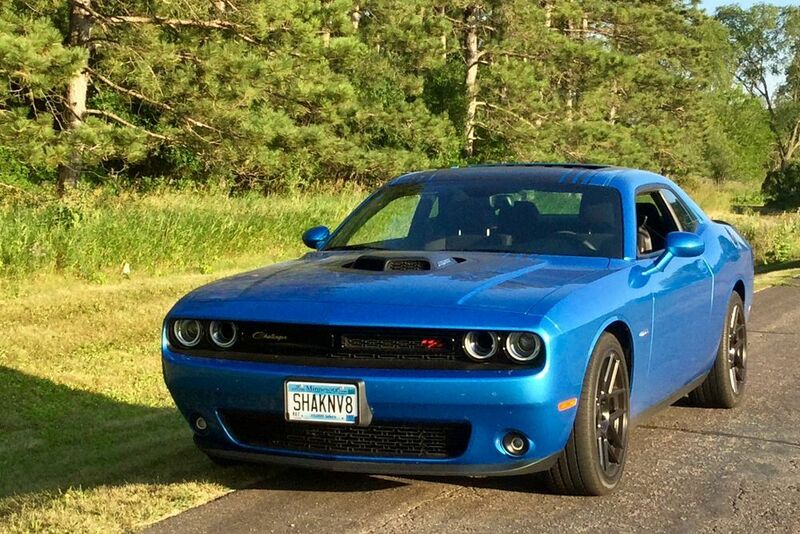 The next day I went out and test drove it. 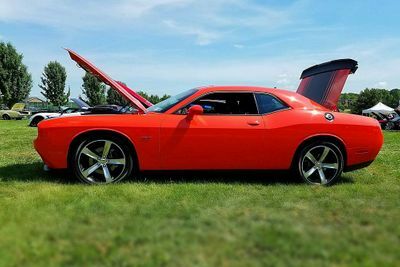 I couldn't get the car out of my mind after the test drive and I said I have to have this car so I took it in to a mechanic for inspection, it passed with flying colors and got all A pluses and I bought my own Challenger to accompany our other Challenger. 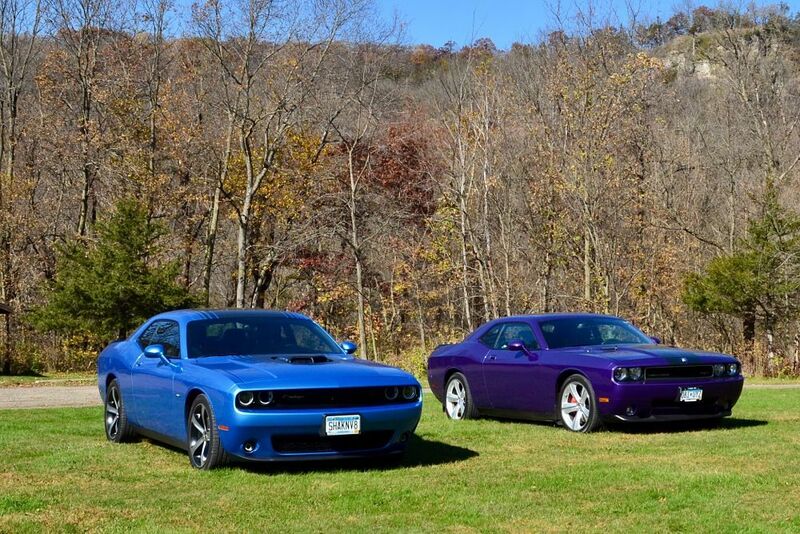 We now have the best looking garage in our neighborhood.